‘Lost’ 99% of ocean microplastics to be identified with dye? 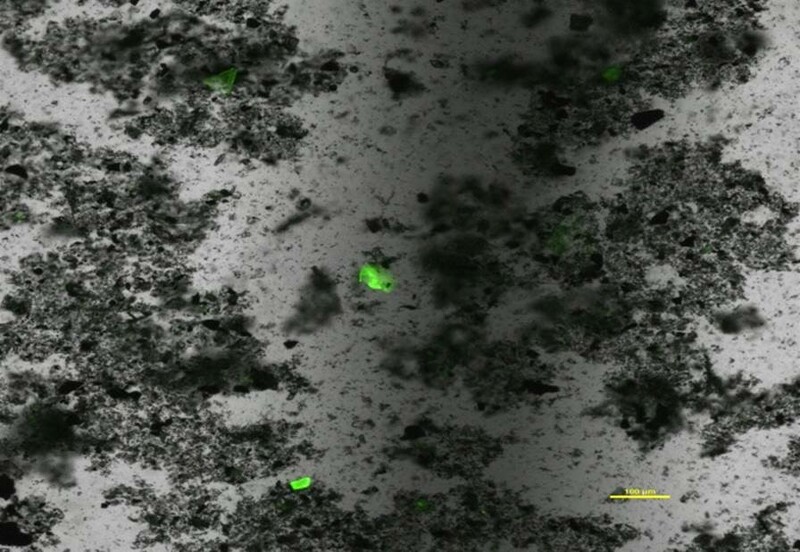 The smallest microplastics in our oceans – which go largely undetected and are potentially harmful – could be more effectively identified using an innovative and inexpensive new method, developed by researchers at the University of Warwick. 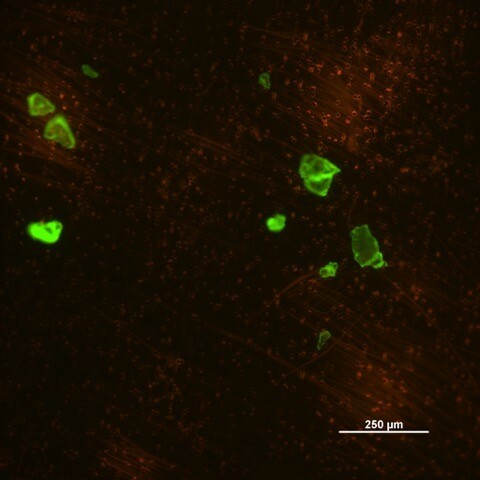 New research, led by Gabriel Erni-Cassola and Dr. Joseph A. Christie-Oleza from Warwick’s School of Life Sciences, has established a pioneering way to detect the smaller fraction of microplastics – many as small as 20 micrometres (comparable to the width of a human hair or wool fibre) - using a fluorescent dye. The dye specifically binds to plastic particles, and renders them easily visible under a fluorescence microscope. This allows scientists to distinguish microplastics amongst other natural materials and makes it easy to accurately quantify them. To test their new method, the researchers took samples from surface sea water and beach sand from the English coast around Plymouth - and, after extracting the microplastics from these environmental samples, they applied their method and were able to quantify the smaller fraction of microplastics effectively. Large plastic objects are known to fragment over time due to weathering processes, breaking down into smaller and smaller particles termed ‘microplastics’. Microplastics are the most prevalent type of marine debris in our oceans, and their impact or potential harm to aquatic life is not yet fully understood. Previous reports suggest that the amount of plastic waste found in the oceans only amounts to 1% of what was estimated, so new methods like this are desperately needed to find and identify the missing 99% of ‘lost’ plastic waste in our oceans. “Using this method, a huge series of samples can be viewed and analysed very quickly, to obtain large amounts of data on the quantities of small microplastics in seawater or, effectively, in any environmental sample. “Have we found the lost 99% of missing plastic in surface oceans? Obviously this method needs to be implemented in future scientific surveys to confirm our preliminary findings. It is important to understand how plastic waste behaves in the environment to correctly assess future policies”. The research, ‘Lost, but found with Nile red; a novel method to detect and quantify small microplastics (20 μm–1 mm) in environmental samples’, is published in Environmental Science & Technology. It is co-authored by Professor Matthew Gibson from the University of Warwick’s Department of Chemistry and Warwick Medical School, and Professor Richard C. Thompson from Plymouth University. Images: Smaller ocean microplastics (below 1mm) made visible with fluorescent dye - viewed through a microscope. Credit University of Warwick (click for high-res).